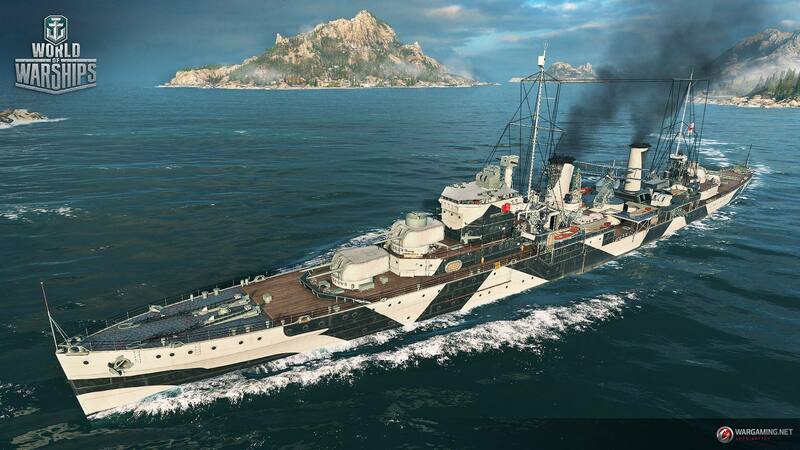 A new premium cruiser is coming to World of Warships. The HMAS Perth is a modified Leander-Class light cruiser operated by the Royal Australian Navy. She was originally constructed for the Royal Navy, where she was commissioned as HMS Amphion. *Please remember these stats are supertest stats and are subject to change before final release version. Australian? Another useless premium for a nation that won’t have regular ships or is it going to be British? The Royal Australian Navy over its history had 2 different classes of protected cruisers; 2 different classes of light cruisers and 1 class of heavy cruiser as well as a battlecruiser. That is if you do not count sub-classes. At least 7 different classes of destroyers (non missile armed).. I imagine it will be like the ?Blskawica?…the only Polish ship for a while. Since WG is releasing a Premium Tier 7 cruiser the Belfast….idk. Can speculate it may be British since it was built British then loaned out. After all we have a Premium Tier 8 and 7 BB for Z Germanz, why not the same for De brits! !